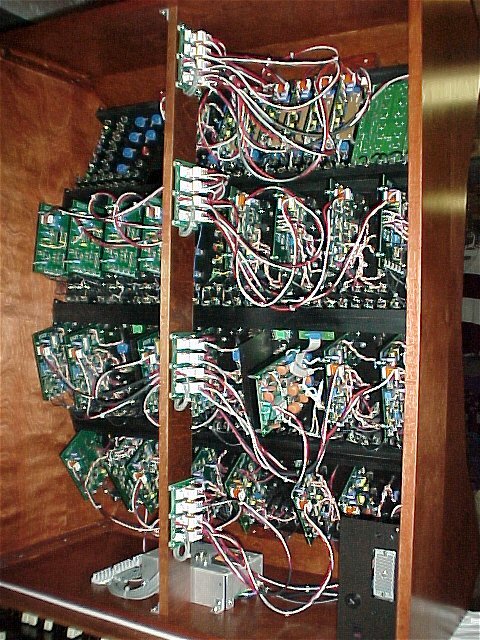 Below are some pictures of the back side of the Synth of Doom, showing how the star power distribution scheme is achieved. Here is the diagram of the star system as shown on the previous page. 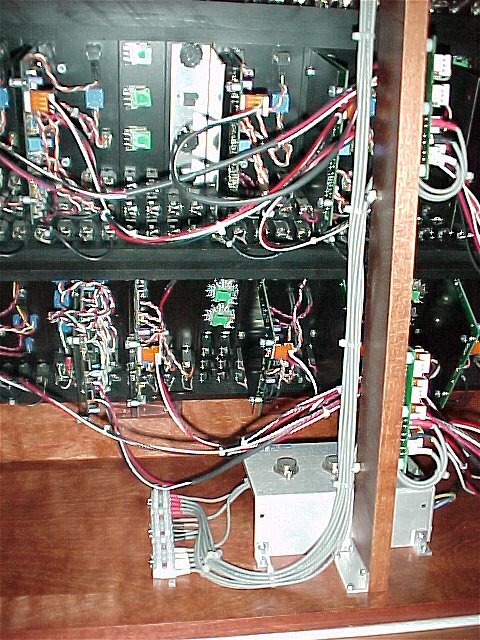 My synth has 4 rows of modules, so there are 4 MOTM-900-PCBs - one mounted behind each row. The rows are 18U wide, and the pcb has 12 connectors on it, allowing for a comfortable mix of 1U and 2U modules per row. 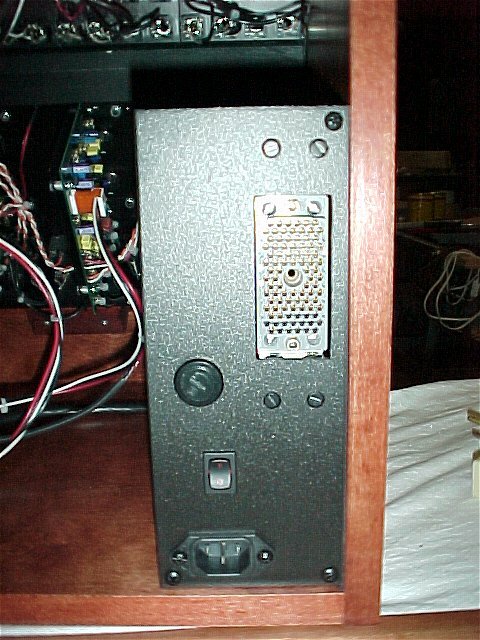 This input panel is mounted in the lower right corner of the back side. 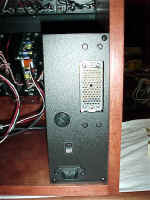 It includes a standard power connector, a heavy duty screw-type fuse holder, and a power switch. The large grey ELCO connector connects the gate, CV, and sync output signals from the Encore Expressionist midi/cv converter to the breakout panel. There is room left for some 1/4" jacks, which I intend to eventually install. These will act as "trunk lines" to transfer output signals from the front panel to be patched to a studio mixer. 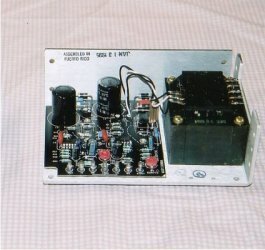 The power supply is a Power One HBB15-1.5-A. It is mounted upside down in the middle of the cabinet for weight balance and protection. The +15V, -15V, and Ground outputs each connect to a 5 position euro - style terminal block. The other four terminals on each block are harnessed and feed the distribution boards. The wire is 16 gauge, and all ends are color coded with heat shrink tubing. 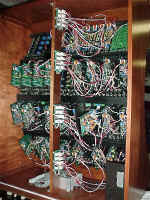 The power distribution PCBs are mounted on a vertical panel to position each one behind the row it services. I chose to solder the power input wires to the spade lugs on each distribution board for greater reliability.